Carter Brey | The Chamber Music Society of Lincoln Center. 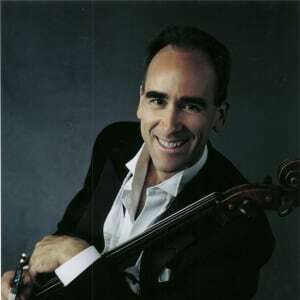 Carter Brey was appointed principal cellist of the New York Philharmonic in 1996, and made his subscription debut as soloist with the orchestra the following year in Tchaikovsky's Rococo Variations led by then-Music Director Kurt Masur. He has performed with the philharmonic under Music Director Alan Gilbert in the Barber, Dvorák, Elgar, and Schumann cello concertos; in Richard Strauss's Don Quixote with former New York Philharmonic music directors Lorin Maazel and Zubin Mehta; and in the Brahms Double Concerto with then-Concertmaster Glenn Dicterow and conductor Christoph Eschenbach. He is cellist of the New York Philharmonic String Quartet, which debuted in March 2017, performed during the philharmonic’s spring 2017 European tour, and will make its New York debut recital at the 92nd Street Y in November 2017. As a chamber musician he has collaborated with the Harlem Quartet and appeared regularly with the Tokyo and Emerson string quartets, Spoleto Festival in the US and Italy, and the Santa Fe and La Jolla chamber music festivals. He has performed in recital with pianist Christopher O'Riley, with whom he recorded The Latin American Album for Helicon Records. Mr. Brey rose to international attention in 1981 as a prizewinner in the Rostropovich International Cello Competition, and was awarded an Avery Fisher Career Grant in 1983. A faculty member of the Curtis Institute, Mr. Brey was educated at the Peabody Institute and Yale University. He is represented worldwide by Sciolino Artist Management of New York.